This Maple Pudding Pie + A Homemade Maple Pudding Recipe will make the perfect addition to your easter dinner. This recipe for homemade Maple pudding was one of the handwritten recipes I inherited when my Nana passed away a few months ago. I made this pudding a few times and, although, delicious I thought it needed to be in a pie. So that’s what I did, of course. Although I did cheat a little. Since I was making a homemade pudding I decided to buy a store bought pie crust. And since I never made meringue, I had to search for a recipe for it. Here is the recipe I used MERINGUE RECIPE except I used 6 Tablespoons of sugar and 3 egg whites and I baked it at 325 for 25 minutes. If it does not get as brown as you would like it on the top then put it under the broiler for a few seconds. 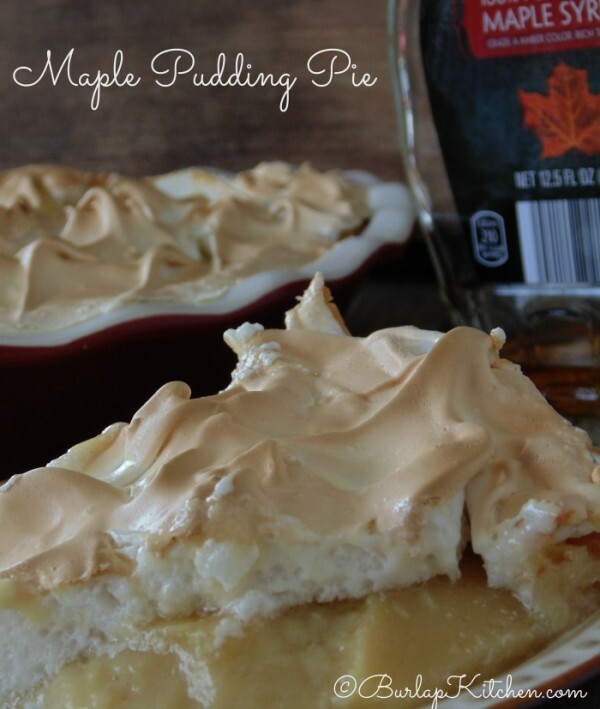 Since I like to keep my writing short and sweet I am going to quickly give you a few pointers on making this homemade Maple Pudding ( Pie). 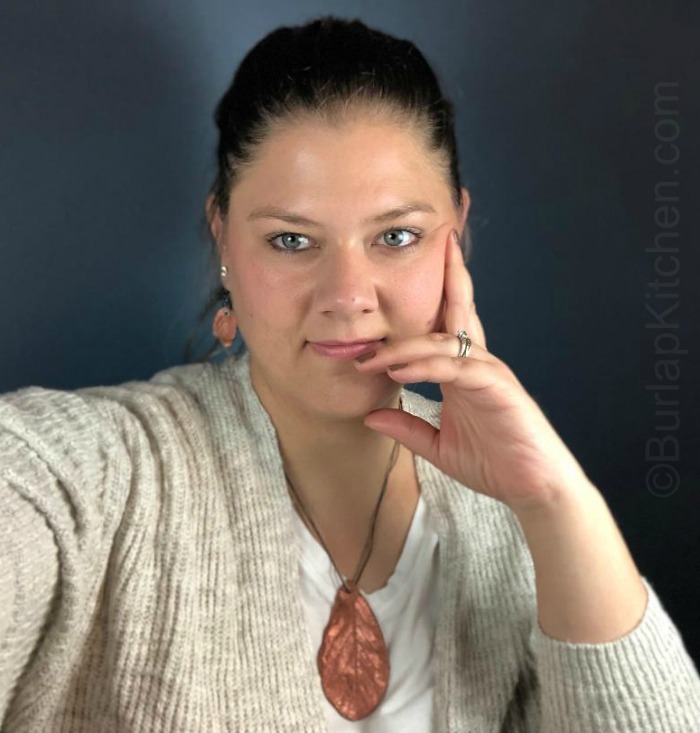 # 1 – If you are like me and do not have a double boiler, that is not a problem. You can easily make your own double boiler by placing a metal bowl on top of a dutch oven. When filling your dutch oven with water make sure that the metal bowl is not in the water but slightly above it. #2 – As soon as you turn your water on to boil begin to prepare the rest of your ingredients. In the metal bowl that is sitting on top of your dutch oven ( Make shift double boiler) OR double boiler, add the milk and maple syrup. Then in a second bowl (smaller) add cornstarch, salt, egg yolks and 1/4 cup of milk. In a third bowl add your egg whites. I normally use 2 whisks and a fork when I do this. I use a whisk for the maple syrup and milk, a whisk for the cornstarch and egg yolk mixture, and a fork to mix the egg whites. #3 – And this is the last thing I want to tell you but is also the MOST important. When adding the eggs to the hot milk and maple syrup mixture it is VERY important that you add them slowly and whisk briskly without stopping! If you fail to do this you will end up with bits of cooked egg in your pudding, and trust me, you don’t want that. Prepare and bake pie crust according to packaging, let cool and set aside. In a double boiler OR a makeshift double boiler ( I do not own a double boiler, I used a makeshift one which I explained in the post above) Add 2 cups of milk and 1 cup of maple syrup, whisk together. In a separate bowl (smaller) add salt, cornstarch, 1/4 cup of milk and egg yolks; add egg whites to a separate third bowl. Whisk both the egg yolk mixture and egg whites ( keep separated). Once the milk and maple syrup mixture is hot ( not a boil! I test this by quickly and carefully dipping my finger in the mixture) Slowly add the egg yolk mixture and whisk briskly and carefully ( Do. NOT. Stop. Whisking!). Once the egg yolk mixture has all been whisked in then slowly add the egg white mixture, once again, do not stop whisking. Pudding will begin to thicken up. Once it thickens take it off the heat and let cool for about 10 minutes. Next pour the pudding into the prepared and baked pie shell. Cool in the fridge for about an hour then mix up the meringue, spread it on the pie and bake. Meringue directions and recipe is linked in the post, be sure to grab that recipe before making this pie. Refrigerate pie for 8 hours or overnight. ** Meringue shrinks as it cools. Always remember to spread your meringue so that it touches the outer rim of the pie crust.